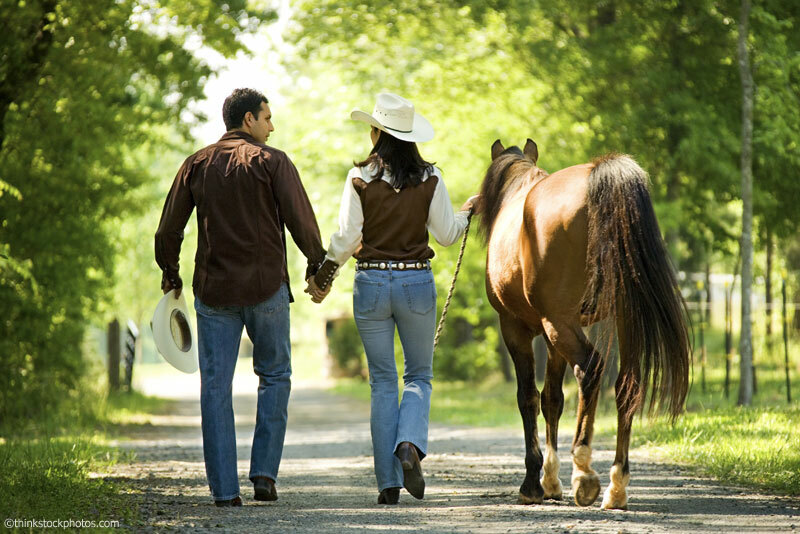 Are you married to, or in a relationship with, a non-horsey person? If so, you’re not alone. If you’ve seen firsthand how the amount of time and money you spend on your horse can lead to conflict, well, you’re not alone there, either. But differences of opinion don’t have to mean permanently hurt feelings–or worse. With the right problem-solving approach, successfully negotiated conflicts can lead to a deeper, more resilient relationship. When both people have the tools and the confidence to solve challenges, each will emerge a winner. Remember, though, that what seems to be a horse-related conflict may have much deeper roots. “Often people argue about what they think are horse issues but that really have to do with control, respect, conflict and so on in the relationship,” explains Dr. Janet Sasson Edgette, an author, equestrian sport psychologist and general family and adolescent psychologist. Her two books, “Heads Up! : Practical Sports Psychology for Riders, Their Families, and Their Trainers” and “The Rider’s Edge: Sport Psychology for Riders” address a variety of rider and relationship concerns. Here are some tips from Dr. Edgette and others for resolving conflicts with the non-rider in your life. Take the initiative to resolve issues. Dr. Edgette says pointedly, “I’ve heard too many riders get very demanding, very whiny, about their riding. They act entitled to it by virtue of the fact that they’re very good at it, or they love it.” This may be true, but it’s up to us to take responsibility for the impact riding has on our relationships. Take a team approach. Instead of placing blame, try to approach problems from the same side of the fence. Share your feelings, listen to one another’s perspectives and work collectively to come up with solutions. Include your partner. Remember when you didn’t know a sidepass from a shoulder-in and how confusing it all was? Take the time to communicate with your partner in terms he or she can understand. Our horse language is foreign to non-riders, so try to explain things without the horsey jargon. When your partner understands the finer points of riding, your sport may suddenly become more interesting. But if you’re dragging your partner to horse events because you fear going alone—and they’d really rather stay home—find like-minded horse people you can travel with instead. Encourage the partner’s activities as well. Is there some hobby or interest your partner would like to pursue? If so, be supportive of it. Even better, carve out time to enjoy it with them if at all possible. It’s important that you plan time to spend together. Educate the non-horsey person about costs. Your partner might see equines as four-legged money pits, but perhaps it’s because there’s a basic lack of knowledge of what things cost. Sit down with your partner and explain the costs associated with board (or hay and feed if you keep horses at home), shoeing, vaccinations, worming and care, plus the expenses for any type of competition you participate in. Seeing the costs in black and white will give your partner a better understanding of where the money goes, and an appreciation for the fact that while you must spend money to properly care for your horse, you’re not necessarily being a spendthrift. Appreciate your differences—and each other. The money and time that horses take can be hot issues in a relationship, but these problems can be solved—with outside help if needed. The bonus is that the communication skills learned along the way can be applied to other struggles in the relationship. Balancing Family and Friends with Horses. The author’s husband John possesses those qualities necessary to his horse-obsessed wife. I have family members with medicalproblems, and have very little time that I can really go riding. What do you do them. I barely have time somedays to finish chores.